Keep your pets happy and safely contained in this soft travel bag. 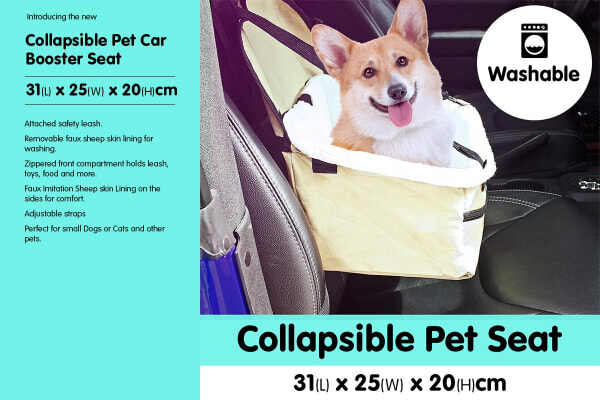 Whether it be a short trip to the vet or going on a vacation, this pet travel bag will suit all your needs! Warm faux sheep skin lining lets your pet snuggle comfortably. 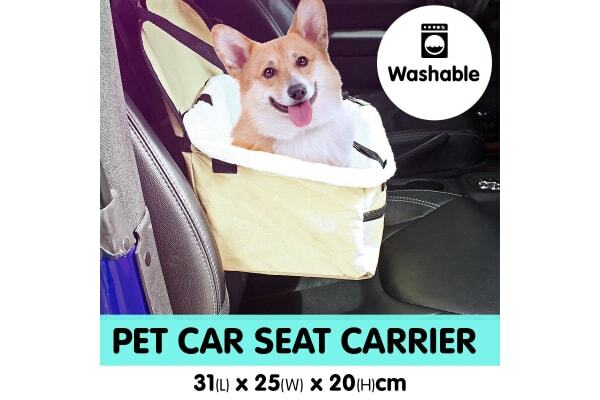 Installs quickly and securely in the car seat. 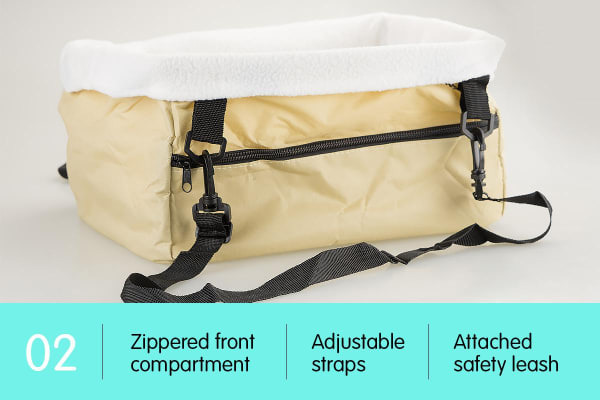 Zippered front compartment lets you slip in leash toys, food and other pet necessities. This car travel bag is perfect for indoor and outdoor use or even to take with you on travels as it can be folded down flat in just a couple of minutes, plus it’s easy to assemble and store. Ideal for small to medium sized dogs or cats.